If you're a vegan entreprenuer, have your own vegan business, or are wanting to start one (aren't we all?! ), my great friend Katrina Fox has the course for you! Katrina is an award winning journalist, presenter, author and media consultant who runs Vegan Business Media. 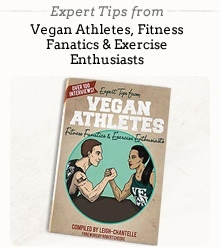 Whether you’re a service provider, product creator or author, you’ll learn all you need to know to get your vegan brand featured in the media. This course is designed to teach vegan businesses how to do their own publicity, raise their profile and get featured in the media. Vegans in the Limelight is a comprehensive online PR course presented by Katrina Fox from Vegan Business Media. Starting on 5 June 2017, the course is delivered over 12 weeks, comprising weekly video training, downloadable templates, answers to your questions posted on the learning platform, plus three live group calls with Katrina. It is the first and only online PR course specifically for vegan and plant-based professionals. Are you nervous about approaching journalists because you have no idea how to go about it? Do you feel 'icky' about promotion and marketing? Are you worried you'll be made to look a fool and have friends and family laugh at you? Do you believe that only 'other people' in your field get to become media stars (and are secretly envious of them because you know just as much, if not more, than them or your product or service is equal to or better than theirs)? Do you know the value of PR and want to be in the media but don't have a budget to hire a publicist or PR firm? Have you had a bit of media coverage here and there and want to be featured consistently? Would you like to learn simple strategies and have access to easy, fill-in-the-blank templates that you can use to get your vegan business in the media? Would you like to be able to ask questions about media and PR to an experienced vegan journalist as you learn? Would you like to feel confident in regularly approaching journalists, spending just a couple of hours a month doing your own PR? Much more info including the course outline HERE. Do you want to put your vegan brand in front of the public, quickly and for free? Getting media coverage is the way to do it. With just one story or interview, you can be in front of huge numbers of people. Best of all, when you do your own PR, it costs nothing! Being featured in the media is free publicity. As an experienced journalist, Katrina, will share with you all her tips and strategies of how to approach journalists the right way, how to find the stories in your brand and much more. Here’s the link for more information and to book (if you buy from this link I receive an affiliate commission): check out Vegans in the Limelight. Please note: Affilate links used in above text. I am one of Katrina’s affiliates and if you enrol for the course using my link, I receive a commission payment. That said, Katrina regularly produces high-quality content on her weekly podcast Vegan Business Talk (listen to the podcast interview with me!) and the Vegan Business Media blog (read my article). She’s also the author of Vegan Ventures: Start and Grow an Ethical Business, which I'm featured in, so I’m more than confident in recommending this course to you.